George Soros made pro-government media outlets a lot of money in 2017! Hungarian investigative journalism NGO Átlátszó.hu has published information concerning the cost of the government’s advertisements to drum up support for the national consultations in 2017. 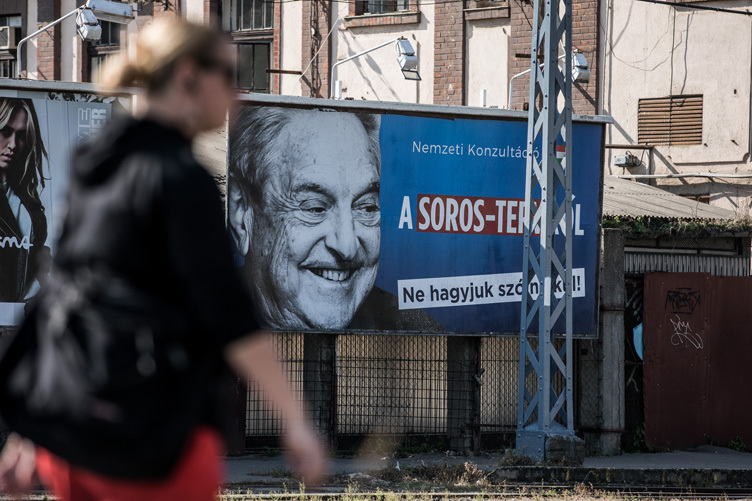 The Cabinet Office of the Prime Minister led by Antal Rogán (who is frequently referred to as Hungary’s minister for propaganda), released the data to Átlátszó after the NGO filed a freedom of information request. The ministry charged Átlátszó HUF 114,000 (USD 450) to comply with the request, ostensibly to defray the cost of scanning the documents. Lőrinc Mészáros’ media holdings (Mediaworks, EchoTV) received HUF 3.89 billion (USD 15.5 million). The list of top-ten beneficiaries goes on to include Ripost, Origo (owned by Central Bank Governor György Matolcsy’s son), and István Garancsi’s ESMA. The top-twenty beneficiary publications include pro-government print dailies Magyar Idők and Magyar Hírlap, pro-government print weeklies Figyelő and Demokrata, and pro-government online tabloid Pesti Srácok.